In my earlier post about the "perfect medical smartphone for physicians," I completely forgot to mention Google's operating system Android. The G1 (currently on the T-Mobile network) is gaining momentum and according to Engadget, T-Mobile has sold over one million of these phones in this country. I currently know several physicians who use the G1. They seem to love it. 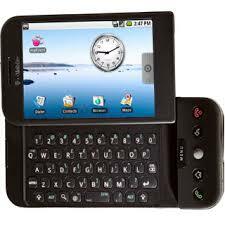 Unlike the Apple iPhone, the G1 has a hardware keyboard for those of you who can't type by pressing on the screen. What else does Google have up its sleeve? Perhaps Android will be the next dominant smartphone OS for healthcare professionals. I wish there was more of a selection for the Andoid operating system for health care professionals, like Epocrates.